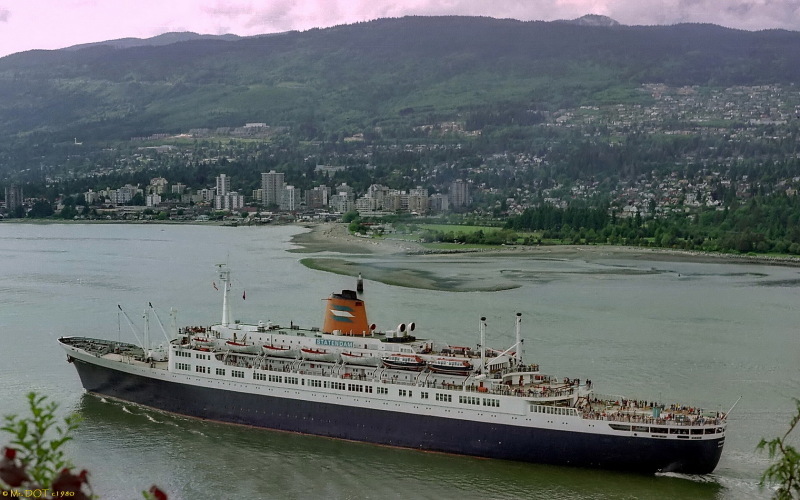 This Centennial livery with the orange funnel lasted at least to the early 80s when Statendam was sold to Regent Cruises, there are even pictures in the data base showing the Veendam ex Argentina wearing this livery. to correct my last entry, this logo was the l970's and did not last into the 1980's, mrdot. and the centennial livery of the 1980's were interesting but not as classic as the original colours! mrdot. This photo has been shown 1,868 times since it was added to the site.